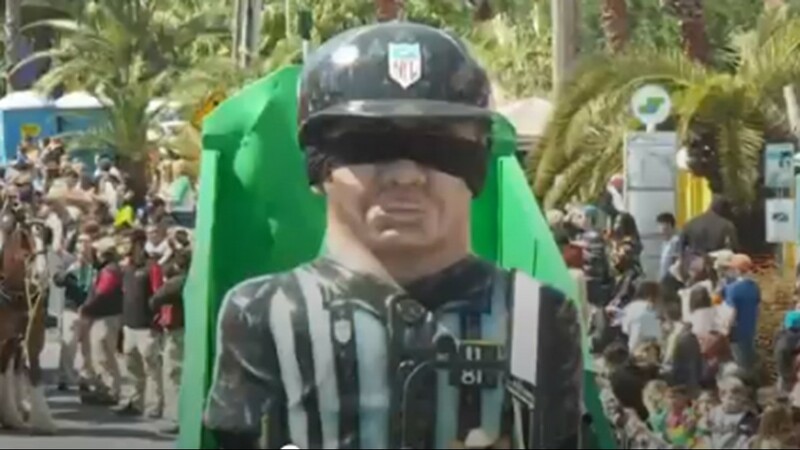 Some of the jabs at the referees were subtle, others not so much, like this float in the Krewe of Argus in Metairie. 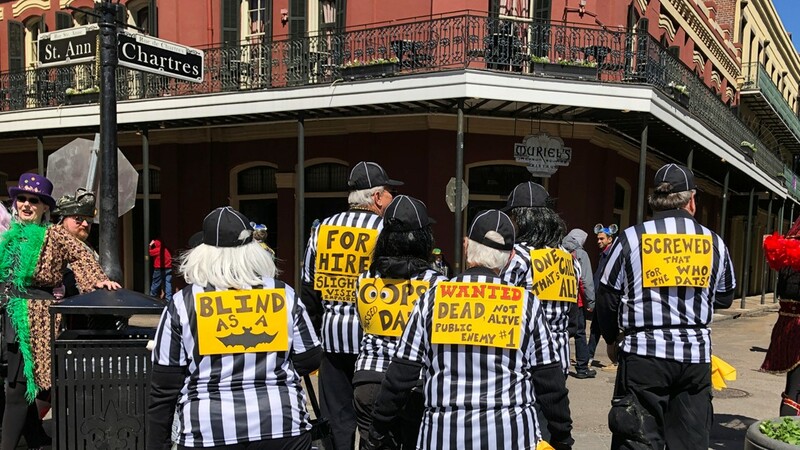 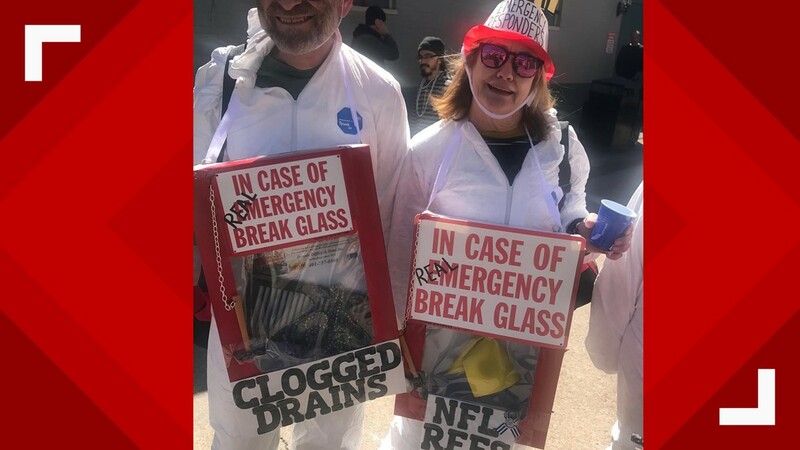 The NFL referees were skewered mercilessly during Mardi Gras. 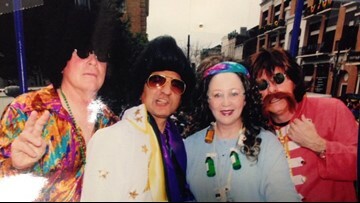 This group was on Bourbon Street. 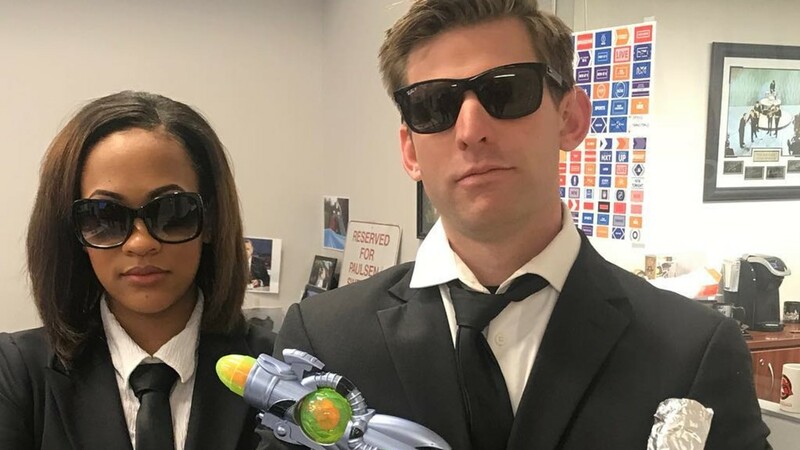 Kristin Pierce and Paul Dudley are the Men in Black. 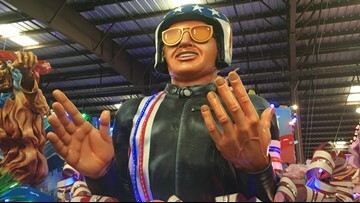 Stay Golden! 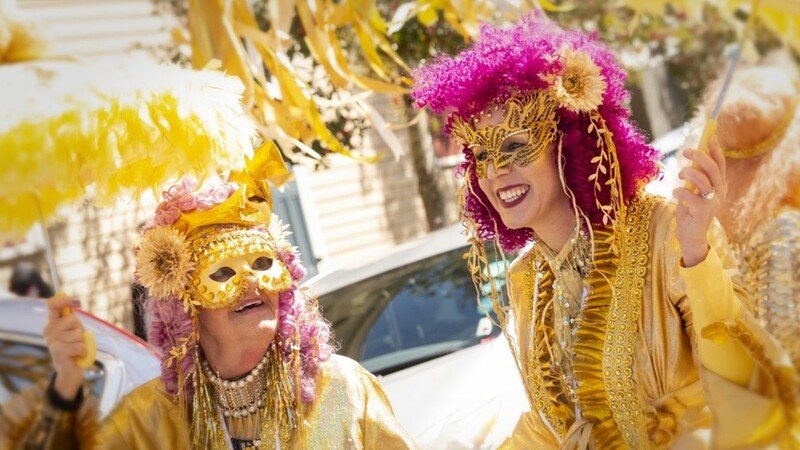 We caught these "Golden Girls" at the Society of St. Anne, where only the finest homemade costumes will do! 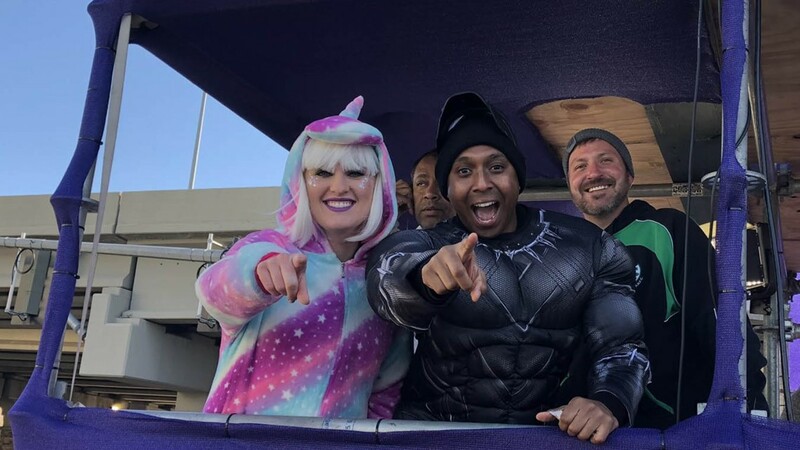 Jade Cunningham, Ricardo LeCompte and producer/photographer Adam Ney in Metairie. 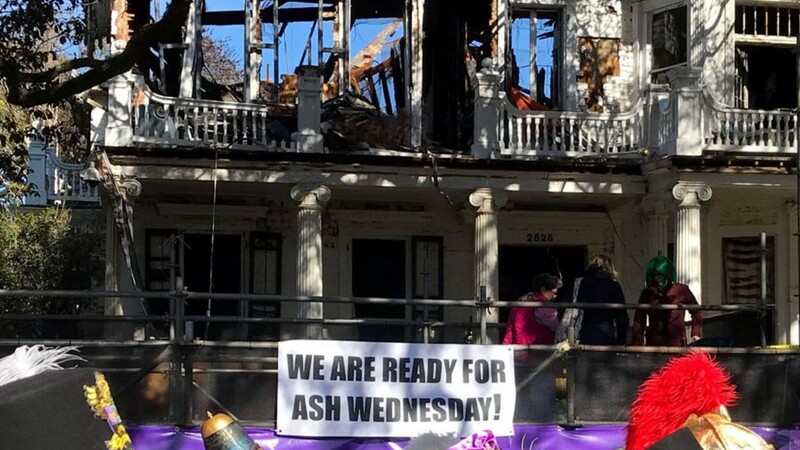 Gallow's humor at the 'Rex Home' at 2525 St. Charles Avenue. 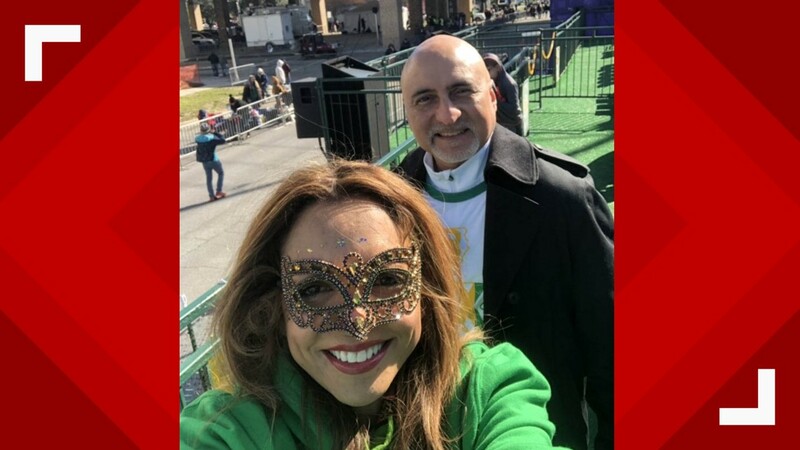 Isis Casanova and Carl Arredondo on the parade route in Metairie. 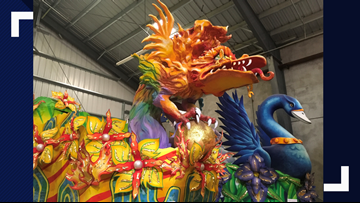 The view atop the crowd in the Marigny on Mardi Gras Day. 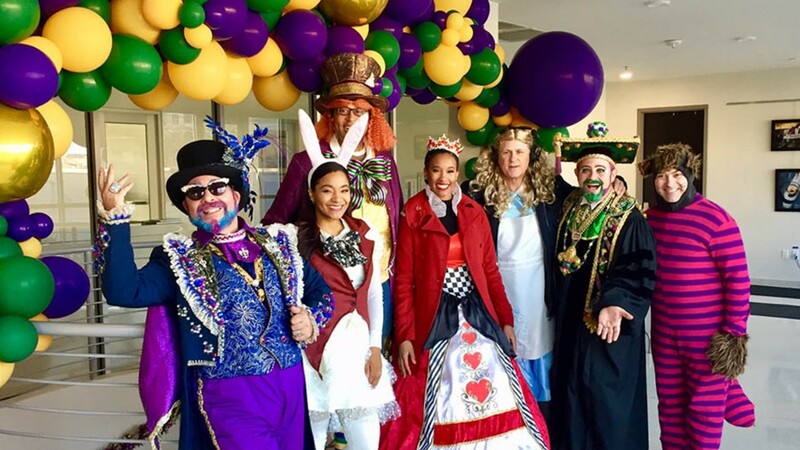 From left - (unknown), April Dupre as the Rabbit, Kevin Belton as the Mad Hatter, Sheba Turk as the Queen of Hearts, Eric Paulsen as Alice in Wonderland, Professor Carl Nivale and Dave Nussbaum as the Cheshire Cat. 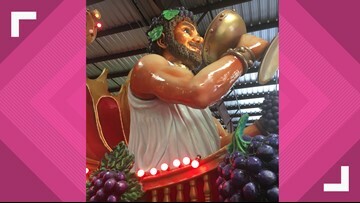 Bacchus 2019 parade is "Starring Louisiana"